Notification is out. is recruiting for 748 Gramin Dak Sevaks Jobs Posts. You can check the last date, download notification, visit the official website and check other Vacancy details. Complete Vacancy and recruitment Details about 748 Gramin Dak Sevaks Jobs vacancies in are provided. Applicants should pass 10th standard from approved state boards by the respective State Govt. / Central Govt or equivalent from a recognized Institute for Postal Circle North Eastern Postal Circle Recruitment 2018. 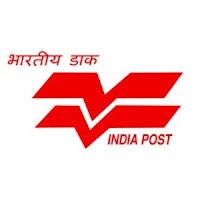 Eligible & Interested candidates can apply via online in Official website page in www.indiapost.gov.in Indian Postal Circle North Eastern Postal Circle Recruitment 2018. Complete the India Post Office Jobs Application Form with the essential data. Take a print out of India Post Office Recruitment 2018 online application form.